Click the link above to download a cut sheet on our packed tower. 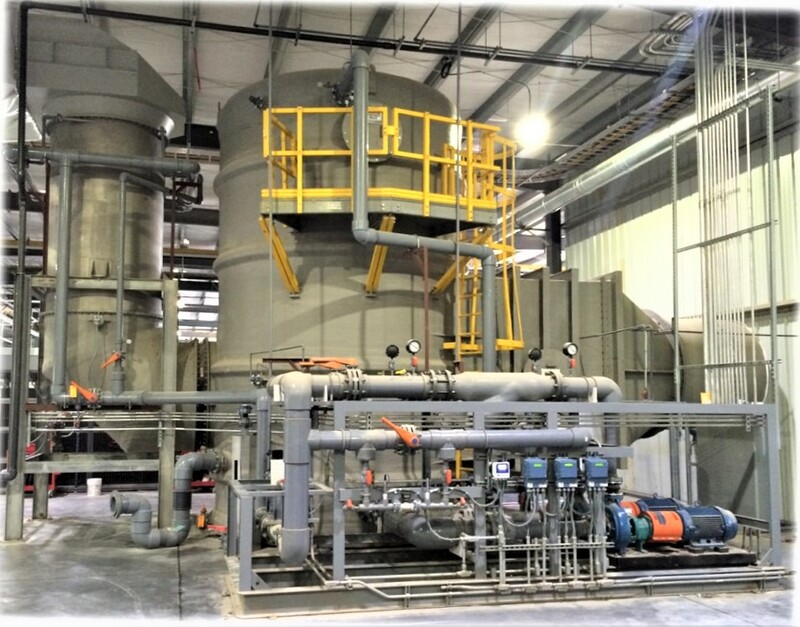 Download our case study on the removal of HCl, HF, and SO2 from a flue gas. 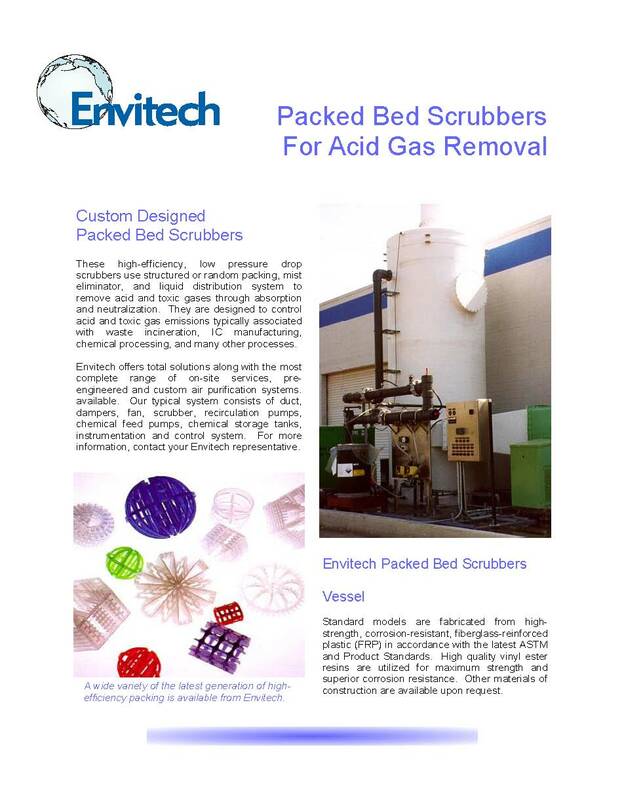 Envitech's hydrochloric acid scrubber is a custom engineered, low pressure packed bed absorber that provides removal efficiencies up to 99.9%. 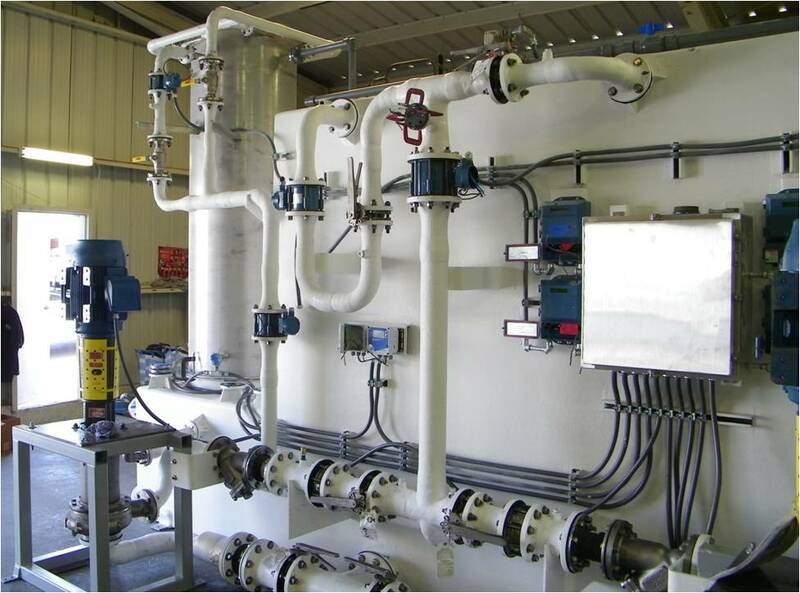 The Envitech hydrochloric acid scrubber first cools a hot gas stream to saturation using either a horizontal or vertical quencher depending on the size of the inlet gas flow. Envitech uses a proprietary quencher design that can be constructed with AL6XN for temperatures below 1,000oF, or Hastelloy C276 for higher temperatures. The hydrochloric acid scrubber uses random dumped packing, a mist eliminator, and a liquid distribution system to remove acid and toxic gases through absorption and neutralization. It is ideally suited for hot combustion exhaust streams including thermal oxidizers, roasters, kilns, industrial boilers, or incinerators. 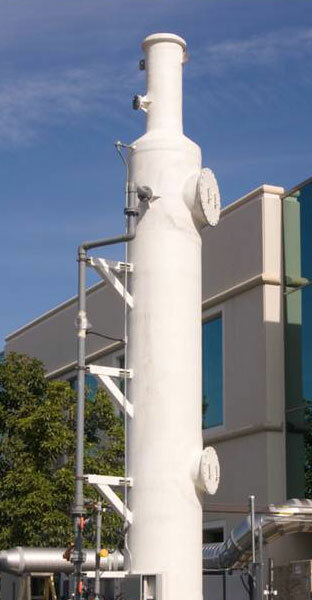 The HCL scrubber can be supplied as a vertical tower, or as a rectangular, pre-assembled system.